With the championship coming down to the wire, it’s no secret that the OSCAAR Pro Midget drivers are excited for this weekend’s Autumn Colours Classic at Peterborough Speedway. Heading into the weekend, Jordan Hanna holds a 15-point advantage over Daniel Hawn. Hanna has been impressive this year, scoring eight victories and only two finishes outside of the top-two. He knows his way around Peterborough, scoring a pair of wins there this year and will lead the field to green this weekend virtue of his Chase for the Colours performance. Hawn enters with a ton of momentum after winning the last four features for five on the season to date. By the way, when the Pro Midgets were at Peterborough in August, he won the second feature and will start second this weekend virtue of his Chase for the Colours performance. James Stanley will be looking for a good run after running into issues at Flamboro Speedway, following a pair of back-to-back top-fives. He has run well at Peterborough previously, finishing on the podium in August’s second feature. Inaugural Pro Midget Champion Ted Greenwood enters this weekend following his third straight top-five finish. By the way, he scored a win and a pair of runner-ups at Peterborough last year. Rob Summers will be looking for another top-10 as he enters this weekend with four back-to-back, including a fourth-place finish at Frostoberfest. In his three races at Peterborough this year, he has no finishes outside of the top-five. Brent Kemps will be looking for his fifth top-five of 2017 after posting no finishes outside of the top-10 thus far in 10 starts. Notably, he finished sixth at Peterborough in August. Gary Triska will be looking for another top-10 this weekend after scoring five to date this season. Notably, he failed to do so in both Peterborough features in August. Brody Rickwood could break through for his first win as a rookie as he continues to perform well each week with top-10’s on a weekly basis. He finished fifth at Peterborough in his OSCAAR Pro Midget debut in May. Steve Belfry will be looking for his first top-five after scoring six top-10’s to date, including a track-best ninth at Peterborough in August. 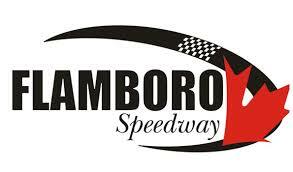 Craig Pitchell has been impressive since making his debut at Flamboro, posting nine top-10’s in 10 features, highlighted by a runner-up at Flamboro last month. Notably, he finished fourth at Peterborough in August. McKenzie Hamilton will hope to break through for her first top-five, following a career-best sixth at Flamboro last weekend.